Damage, gaps, and staining can compromise the beauty of your smile, making your teeth appear unattractive or dull. Some men and women who do not like how their smile looks may even refrain from smiling out of embarrassment. However, there are several types of cosmetic treatments that can improve dental aesthetics and enhance a patient’s overall quality of life. Those who are unhappy with their smile may want to consider getting porcelain veneers. These dental restorations are made of thin slivers of porcelain that are permanently attached to the teeth in two phases. Porcelain veneers mimic the look and feel of natural teeth, and they instantly produce a whiter, brighter smile. 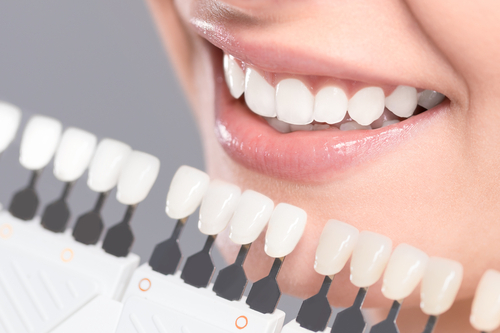 The process of obtaining porcelain veneers is completed in two appointments. 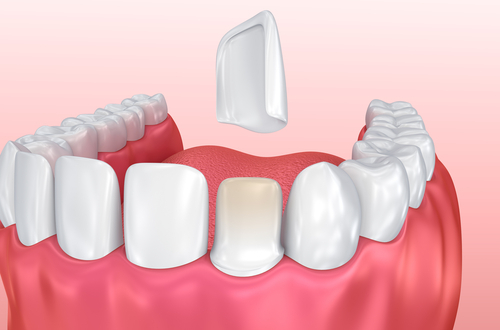 During the first phase, a thin portion of enamel is removed from the tooth or teeth being treated. Then an impression is taken to create renovations that are tailored to the patient’s exact dental structure, and temporary veneers are placed. 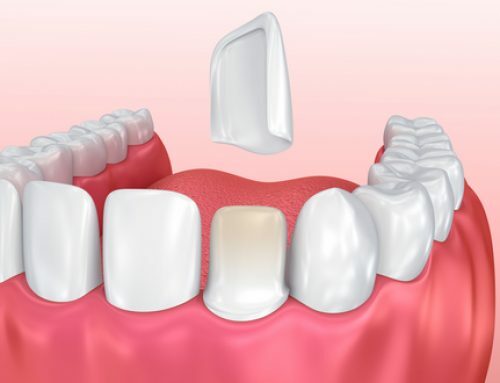 The customized porcelain veneers are set during the second phase about one or two weeks after the initial appointment. Some cosmetic and functional dental concerns can be corrected using other methods, but porcelain veneers offer dazzling result for patients who are not good candidates for alternative options. For example, some patients who suffer from tooth discoloration may not qualify for teeth whitening, but they can get the whiter teeth they desire with porcelain veneers. Additionally, those who do not want to go through orthodontic treatment to fill the gaps between their teeth can see immediate results with porcelain veneers. For more information about dental restorations or to find out if you are a candidate for porcelain veneers, please call Green Street Dental at 610.746.0488 and schedule your consultation.